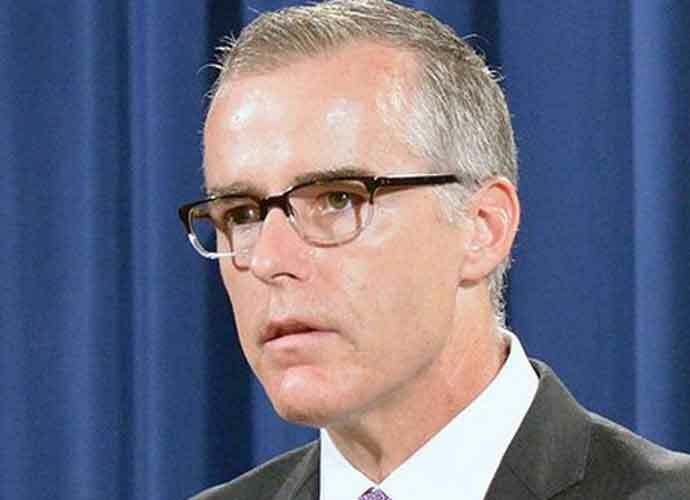 Former Deputy FBI Director Andrew McCabe revealed in an interview that will air Thursday that top Justice Department officials were so taken aback by President Donald Trump‘s decision to fire James Comey in May 2017 that they discussed the possibility of recruiting cabinet members to force Trump out of office. McCabe said Justice officials were considering invoking the 25th Amendment to push out Trump. This constitutional provision says that the president can be removed from office if Cabinet members and a majority in Congress believe he or she is physically or mentally incapable of discharging his/her duties as commander-in-chief. McCabe — who was fired in March 2018 by then-Attorney General Jeff Sessions — made the comments while speaking to Scott Pelley on CBS’s 60 Minutes. The full interview is set to air on Sunday. the former deputy FBI director is promoting his upcoming memoir, The Threat: How the F.B.I. Protects America in the Age of Terror and Trump. In the interview, McCabe revealed he spoke with Trump in 2017 just after then-FBI Director Comey’s dismissal. The following day, McCabe said, he met with investigators probing Russian meddling during the 2016 election. Pelley also announced Thursday on CBS This Morning that McCabe confirmed The New York Times‘ claim that Deputy Attorney General Rod Rosenstein had suggested wearing a wire for meetings with Trump. Rosenstein is set to soon leave the Justice Department. Last month, Trump failed to forcefully deny allegations he once worked on behalf of Russia’s government.